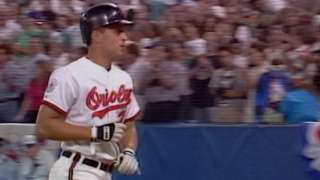 Cal Ripkin Jr. led the American League to a 4-2 victory as his three-run homer in the third inning ultimately proved to be the difference. Andre Dawson hit a solo homer for the National League, but it was not enough, as the AL won its fourth straight. a-Grounded into a fielder's choice for Calderon in the 6th. b-Popped out for Sabo in the 6th. c-Struck out for Larkin in the 9th. 1-Ran for Gwynn in the 7th. HR: Dawson (1, 4th inning off Clemens, 0 on, 0 out). TB: Gwynn 2; Clark; Samuel; Sandberg 2; Dawson 4; Jose; Calderon; Bonilla 2. RBI: Bonilla (1), Dawson (1). Runners left in scoring position, 2 out: Smith; Bonilla; Johnson; Murray. SB: Calderon (1, 3rd base off Morris/Alomar). E: Biggio (1, catcher interference). a-Grounded out for Tartabull in the 6th. b-Struck out for Henderson in the 6th. c-Batted for Boggs in the 7th. d-Hit a sacrifice bunt for Ripken in the 7th. e-Intentionally walked for Fielder in the 7th. HR: Ripken (1, 3rd inning off Martinez, 2 on, 1 out). TB: Ripken 5; Griffey Jr. 2; Carter; Fisk; Boggs; Henderson. 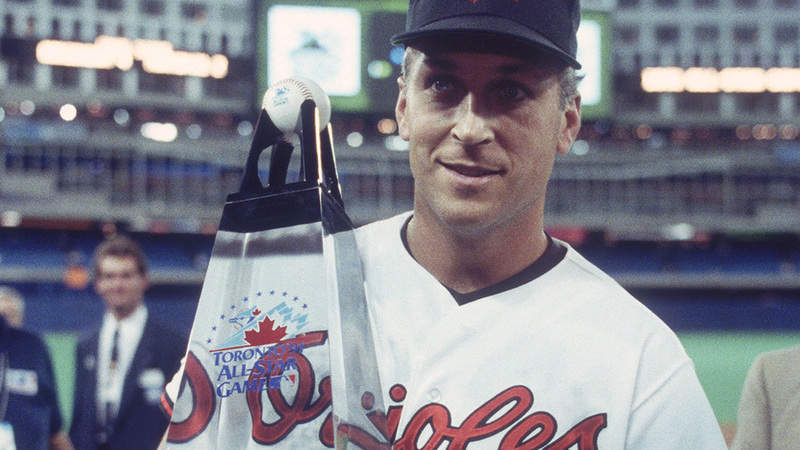 RBI: Ripken 3 (3), Baines (1). Runners left in scoring position, 2 out: Tartabull; Alomar; Sierra. Smiley pitched to 2 batters in the 7th. Game Scores: Glavine 56, Morris 45. Groundouts-flyouts: Glavine 0-2, Martinez 2-2, Viola 1-2, Harnisch 1-1, Smiley 0-0, Dibble 1-1, Morgan 2-0, Morris 2-1, Key 1-0, Clemens 0-3, McDowell 3-1, Reardon 2-0, Aguilera 0-0, Eckersley 2-0. Batters faced: Glavine 8, Martinez 10, Viola 4, Harnisch 5, Smiley 2, Dibble 4, Morgan 3, Morris 9, Key 4, Clemens 4, McDowell 8, Reardon 3, Aguilera 6, Eckersley 3. Inherited runners-scored: Dibble 2-1, Aguilera 1-0. Umpires: HP: Joe Brinkman. 1B: 1B Umpire. 2B: 2B Umpire. 3B: 3B Umpire. LF: Larry Young.